So I was going to do a year end list and was even honored with an invitation from Hunter King (Storm Surge of Reverb) to do a guest Gremmy award but to be quite frank I'm too unorganized and always late in hearing new releases. Instead, I'm going to focus on one album and then list several other that you definitely SHOULD hear. The Madeira's "Ancient Winds" stands like a giant above all other releases from 2015. In fact, I might go so far as to say it's the greatest surf album of all time. "Journey To The Center Of The Surf" kicks off and doesn't waste any time, barraging the listeners ears and corroborating Jamie Galatas' (of The Mystery Men?) description of the band's sound as 'power surf'. There are some outstanding collaborations including The Atlantics' Jim Skaithitis ("The Argonaut") and The TomorrowMen's Danny Snyder ("Sirenia") starting with the second track "Hail, Poseidon", co-written by Aqualads, The Monterreys, and Southern Surf Stomp's own Jeremy DeHart. 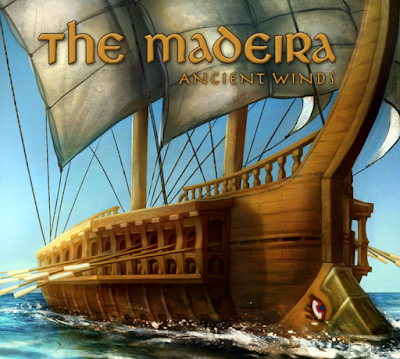 It's no secret that I'm a sucker for big productions but with The Madeira, it's highly unnecessary as they are a group whose members are some of the greatest instrumentalists in their (or any) genre and the songwriting is unparalleled. With that said however, the subtle flourishes such as the introduction of the acoustic guitar on the title track are a nice touch. The highlight for me is by far the sixth and seventh tracks, "Farthest Shore" and "Dawn In Cadiz" (co-written with Los Twang Marvels' Alex Faide). The latter is thoughtful and patient, the delayed guitar plays like water droplets in the more staccato passages which then blossom into the hope of a new day, much like the dawn. After these seven minutes of some of the finest instrumental music ever written resides the sole cover, The Atlantics' "Coral Island". To be honest, it's the only track standing in the way of "Ancient Winds"' perfection in my opinion as it seems out of place, clumsy and awkward among the powerful and modern originals. The album plays out like an epic, taking the listener on a heroic journey not unlike that of Odysseus. I absolutely love the music, the concept, and even the beautiful artwork which would look positively stunning on a record sleeve, hint hint.